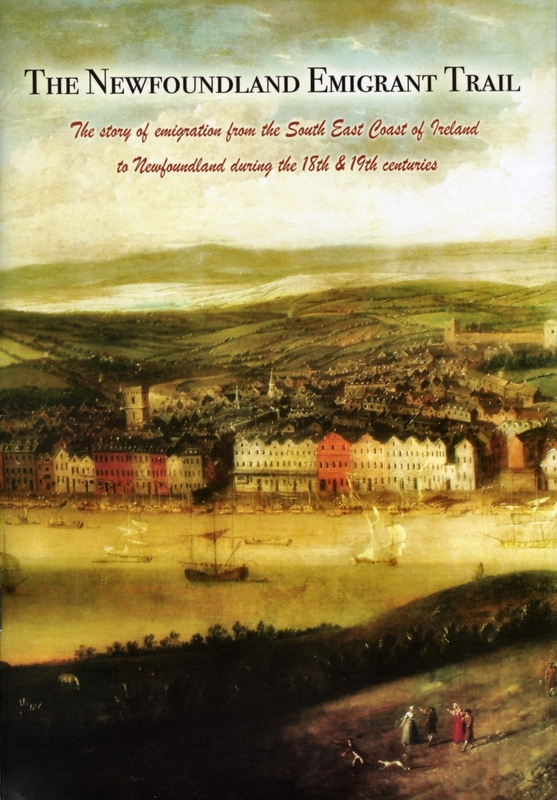 The launch took place here in the museum on Saturday 18 September of a new booklet entitled The Newfoundland Emigrant Trail. The book was launched by historian and broadcaster Julian Walton. The booklet which tells the story of emigration from the South East Coast of Ireland to Newfoundland during the 18th and 19th centuries. The launch was part of a series of events to mark the Newfoundland Festival which took place from 18 to 26 September. A group of over 50 from Newfoundland were visiting Dungarvan, Lismore, Carrick, Wexford and Kilkenny. The museum is delighted to be associated with the production of the booklet which was edited and prepared by Paula Ui Uallcháin. Also speaking at the launch were Nioclás Ó Griobhtháin, Museum President, Paddy O Callaghan, Mayor of Waterford. Mary Roche, Mayor of Waterford City, and other distinguished quests. The booklet contains a series of fascinating articles by Dr.John Mannion, Julian Walton, Michael Coady, Eamon Ó Murchú, Ray McGrath, Eamon McEneaney and Senan Cooke. The booklet is available to buy here at the museum, cost €5. City Mayor Mary Roche, County Mayor Paddy O'Callaghan, with Julian Walton at the launch.